Cord Jewelry Necklace--Necklaces never run out of style and they are a great, versatile fashion accessory that can flatter your necklace and make a tasteful statement with any wardrobe. In this collection, we can offer a series of fashion necklaces which are made from various high quality cords, such as satin, rubber, nylon, leather cords and so on. 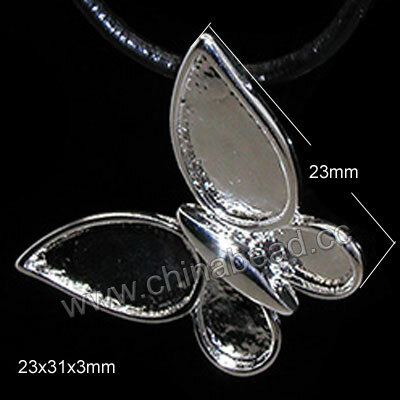 Other jewelry accessories can be added to make wonderful necklaces. Welcome to order from chinabead.cc . NOTE: Our Min. order is for each color each size. China beads accept OEM/special orders. Contact us now!